At Universal Site Services, we understand that external appearances can be a deal breaker when interacting with customers. Your business might have the highest reviews and the most qualified personnel, but if a client walks up to a building that is covered with grime, dirt, and garbage, then they already have a poor impression of you before getting through the door. Whether you own and operate a casino, hotel, or other commercial business, our day porters in Reno are here to help you emit a professional atmosphere. We will keep your building and the surrounding area clear of dangerous spills, nasty smells, and general debris at an affordable price. 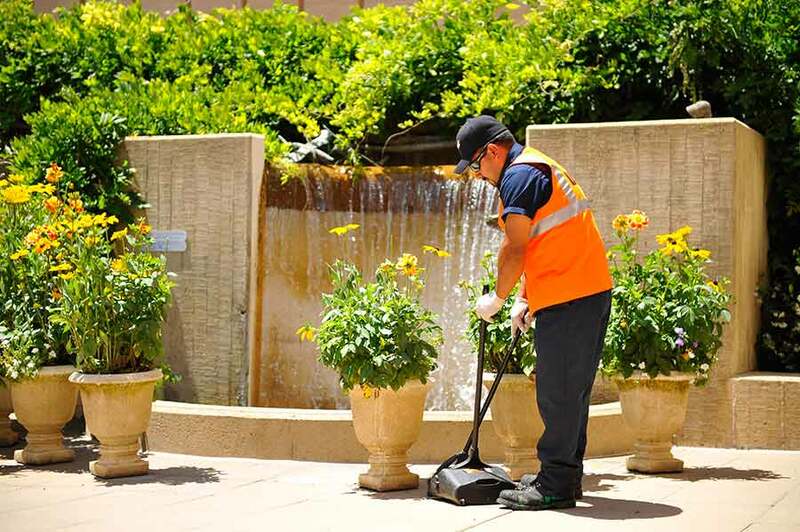 By keeping your building’s exterior clean, we keep your customers and you happy – and that makes us happy. Call us today so we can create your property maintenance day porter in Reno plan. With over 50 years of experience, our licensed, bonded, and insured professionals offer a wide variety of services. Cleaning of newspaper stands, telephone booths, and more! 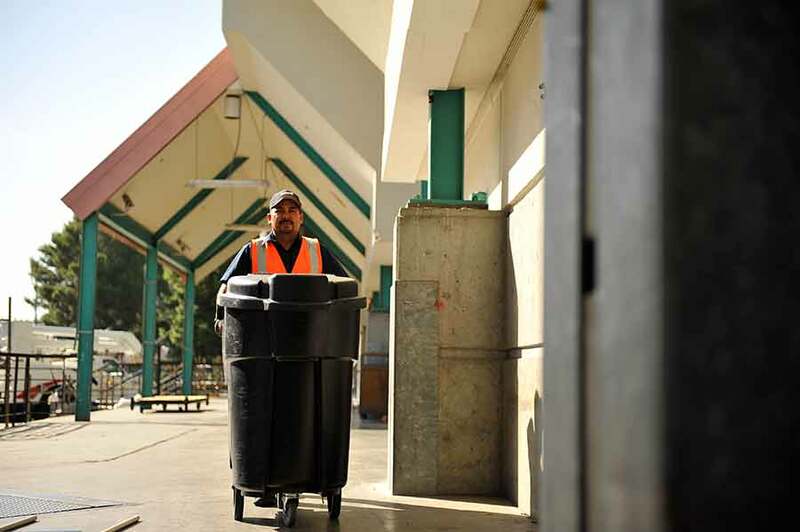 By maintaining a clean atmosphere, our employees help to set a standard for others to follow. Our Reno day porter services discourage others from littering, loitering, and tagging your building with troublesome graffiti. See something not on the above list? Check out our other services offered at Universal Site Services. Chances are we can take care of your needs in a timely manner and with a smile. Our employees are all certified, well-trained, and friendly, so you don’t have to worry about their interactions with employees, clients, and passersby. We’re glad to help! 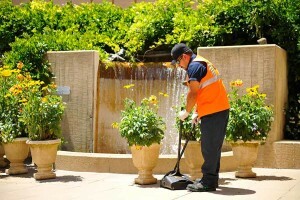 Our day porters offer professional cleaning services that can help your business to earn money and attract new clients. By sufficiently maintaining your building’s façade, you are also saving yourself money down the line. Walls that aren’t regularly cleaned are more prone to cracking and chipped paint, resulting in expensive repainting jobs. Walkways that are dirty and slippery also put your employees and clients at risk for falls that will result in injuries and legal expenses. Avoid these unnecessary risks and hire a day porter today! We will help you to put forth a professional atmosphere that translates to your client meetings, resulting in more positive interactions and a greater likelihood that customers will refer you to their friends. Show that you are a confident, detail-oriented, and skilled company but putting your best face forward right from the start. A day porter service is the right choice for you.